This 28mm Kinsey model features a stunning silver sunray dial with roman numeral hour markings, three-hand movement, and a stylish stainless steel bracelet. 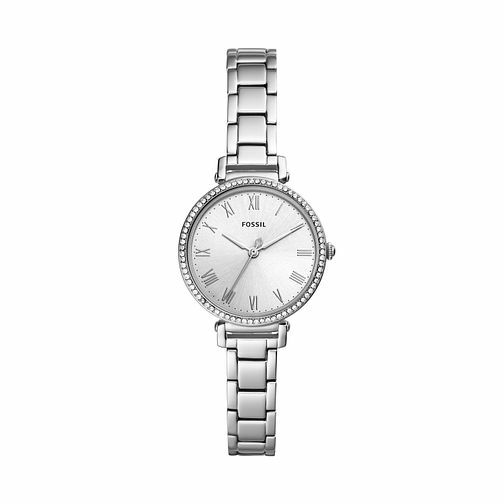 Fossil Kinsey Ladies' Stainless Steel Bracelet Watch is rated 5.0 out of 5 by 1. Rated 5 out of 5 by Anonymous from Lovely watch I love fossil watches, and this one does not disappoint. It’s very elegant and not too big. Very happy with my purchase.